If everyone in the center sharpens their ‘near me’ search and location marketing game, InvenTrust has found the results actually stack, so that each retailer sees more walk-in business than they would from only their individual efforts. 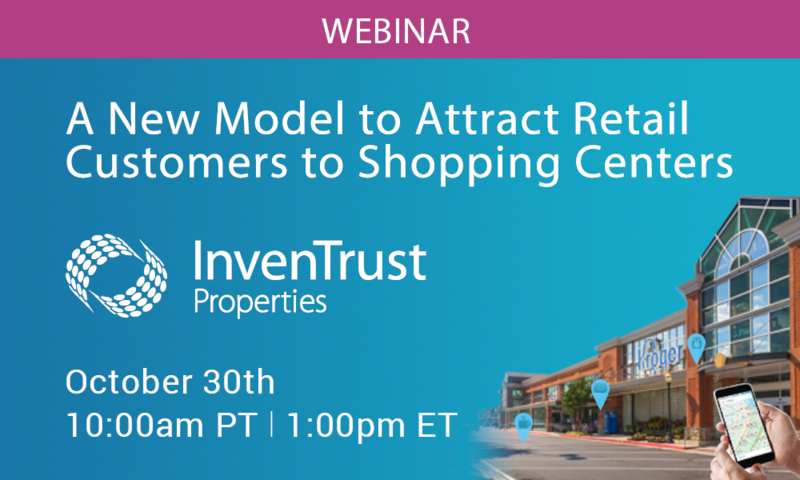 Join InvenTrust Properties Director of Marketing Lisa Alexander and Uberall VP of North American Operations Marisa Schneider, as they talk about this unique approach to cooperative marketing, and why the successful REIT has invested in this strategy across their shopping centers. InvenTrust is owner and manager of 78 retail properties representing 13.9 million square feet of retail space, and close to 1900 tenants across the sunbelt. The successful REIT has partnered with Uberall in 2018 to offer location marketing services to tenants. The program’s goal is to increase foot traffic to properties, boosting tenants’ brands and bottom line.